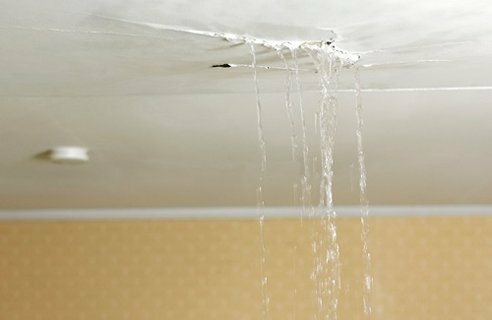 A leaky roof is a common problem. Each one of us has experienced it to varying degrees in our lives. In fact, roof leak is one of the most common problems for houses and buildings. Leaky roofs occur because of different causes. Sometimes all it takes is a simple visual inspection of your roof to identify the cause; at other times, you have to call the services of a professional roofer just to determine the source of the problem. You can easily verify if your gutter is clogged when it is raining, and no water is trickling out of the downspout. Leaves, dirt and debris are the most common culprits of a clogged gutter. Regular inspection and maintenance cleaning will prevent this from happening. Shingles eventually degrade through time and constant exposure to harsh elements. The time will come when they finally crack, erode, sustain damage or be blown off the roof. Identifying broken or missing shingles is easy though since they are the exterior layer of the roof and can easily be seen. Skylights enhance the aesthetic appeal of your house and allow sunlight to penetrate the interior of the house for more natural lighting. They are, however, a common cause of leaks due to improper installation or damage sustained over time. Observing a regular maintenance schedule helps prevent this problem. Flashing is used to provide water protection to the roof and usually placed on joints, seams and other transition points. Since flashing is made of metal, it is susceptible to corrosion, rust, dent and bending from strong winds, accidental bumping or shift in structure. Damaged flashing could lead to tricky water leaks that only professional contractors could identify and repair. One of the places first inspected for leaks are chimneys. Whether your chimney is made from brick, stone or metal, the material deteriorates with time and could sustain cracks, corrosion or swelling making it susceptible to water leaks. Some houses have their plumbing and ventilation systems run through their roofs. While this is not advisable, it is a fact that many houses have such setup. If you experience a leak on your roof, and you have hoses and pipes used for plumbing and ventilation situated near it, the likely cause of the leak is from the ventilation or plumbing system.